Halloween can be a crazy day for teachers in the classroom. In all of the excitement of the day, students are bound to be a little extra. Keeping them focused on learning can be a huge challenge. 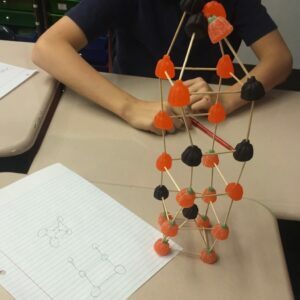 In this post, I will share some activities that I do with my students to make sure that it is not a lost day. I used to just skip over holidays in the classroom since we needed to stay on pace to cover the standards. That wasn’t fun for me or the students. Now, I incorporate the holiday in the activities we do throughout the day without having to dress up (which we aren’t permitted to do) or even having a party. The kids have so much fun, they think it is a party. First, I sit down and look at my schedule for that day to see which subjects need to be covered. I use this day as an opportunity to review what we’ve been working on for the last two months of school. It’s a great time to get a sense of what is sticking with your students so far and what they may need more practice with. I want to cover standards that we’ve been working on while incorporating the holiday into our day. 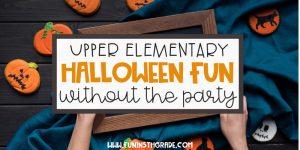 It truly helps the students to have a fun day without all of the craziness of a party. Here are the examples for each subject of what we do. Students have focused work to complete that is also fun so that we can enjoy the holiday together. They start looking forward to more holidays and we will still practice important concepts in a fun way. First thing in the morning we have math class. 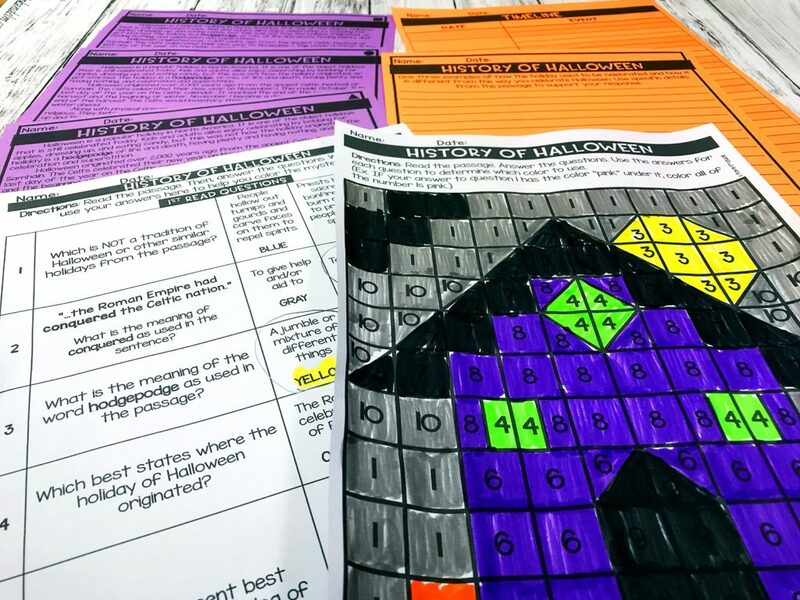 For math, I use my set of Halloween centers for students to complete and rotate. This is such fun for the students and I pick out the centers on the topics that we have already covered. I use the cards in the set to set up 4-5 stations throughout the room. Each student gets recording sheets for the centers so that they can keep track of the work they do and I can hold them accountable while they are rotating. Check out all the centers on TpT by clicking here or buy right on this site below. Since the cards can be used in so many different ways, I set up a nice variety of games to keep them engaged. One center may be the powers of 10 cards with a game board (included), game pieces, and a die. Students flip a card and everyone answers on their recording sheets. Once everyone has their answer, someone checks the answer sheet and everyone that was correct moves. Or I may put the cards with a mini basket ball game where students need to answer and if correct, they shoot the basketball for a bonus point. 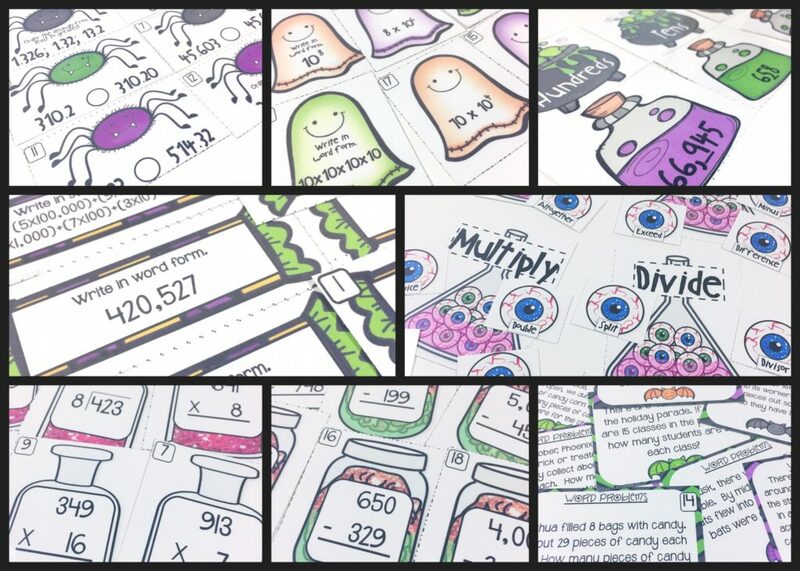 Another idea is to go to the dollar store and grab a bunch of Halloween stuff to use in the games. 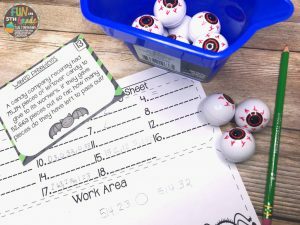 I got these ping pong eyeballs there and put them with a big cup and if the students answer correctly, they get to try and bounce the eyeball into the cup. 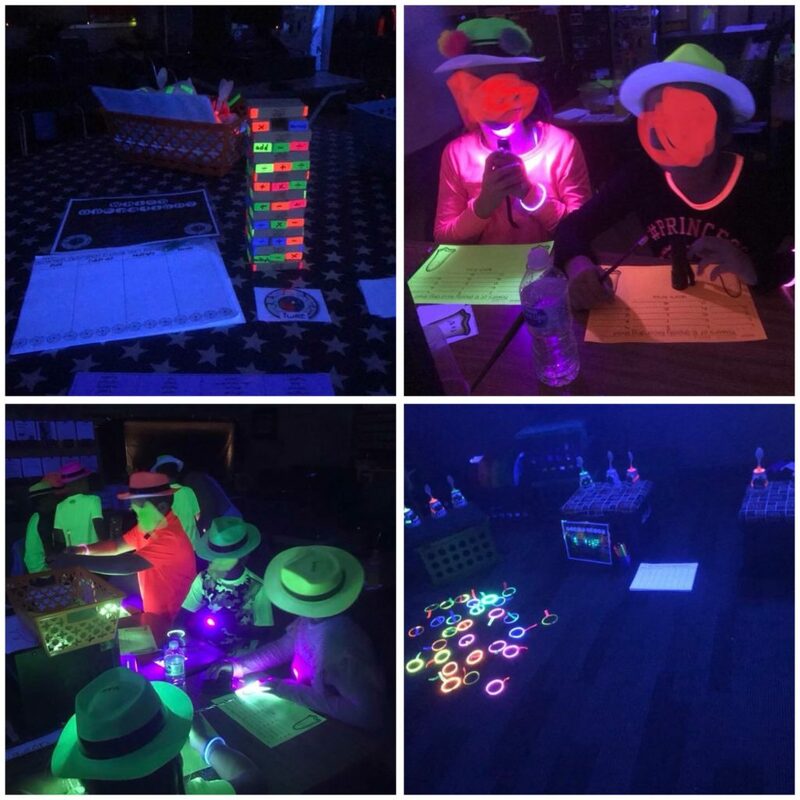 My favorite is someone bought these centers last year from me and they used them to create glow games! So cool! She had the cards set up at different stations and used light sticks, black-lights, invisible ink, and more! The students were so engaged and they had a lot of fun practicing their math! Find the cards used by clicking here. She found almost all of her supplies on Amazon. She got ring lights, glow sticks, blacklights, hats, and invisible ink pens. For writing, we just had some fun with a few Halloween writing prompts that I typed up real quick for them. I made five different ones so that the students could have some choice in what they wrote about. Once they got their prompts, they were to brainstorm some ideas and get to writing. 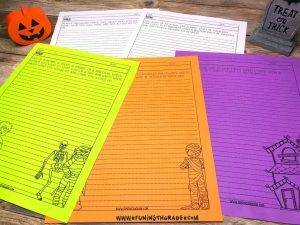 They enjoyed being able to write about Halloween. It was a nice break from our other essays that we’ve been working on. Here’s the set of writing prompts for you to download if you’d like them. Click here to download. For reading class, I wanted them to practice a bunch of reading standards but still wanted to incorporate the holiday. I also found that a lot of students knew what the holidays were but didn’t necessarily know the meaning behind the holidays or where they originated. Some holidays, they even had a totally incorrect idea of what the holiday was about. That’s the reason behind creating these Holiday Close Reading Passages with Mystery Pictures. I wanted to TEACH them about the holiday while incorporating some fun AND also practicing the standards. These passages are PERFECT for all of that. Check out the bundle of all holiday on TpT by clicking here or check it out on this website below. The Halloween set includes a non-fiction passage about the history of Halloween and one about Halloween around the world. I also include one fiction passage about Samhain for practicing some of those fiction standards. Each passage features 3 levels of text. The lowest level is written for 3rd graders, the middle level for 4th-5th graders, and the highest level for 6th graders. It’s great! Because they want to color their mystery picture correctly, they work really hard to read the passage and answer the questions. I’ve even included writing prompts and graphic organizers in the set to cover even more of the standards. 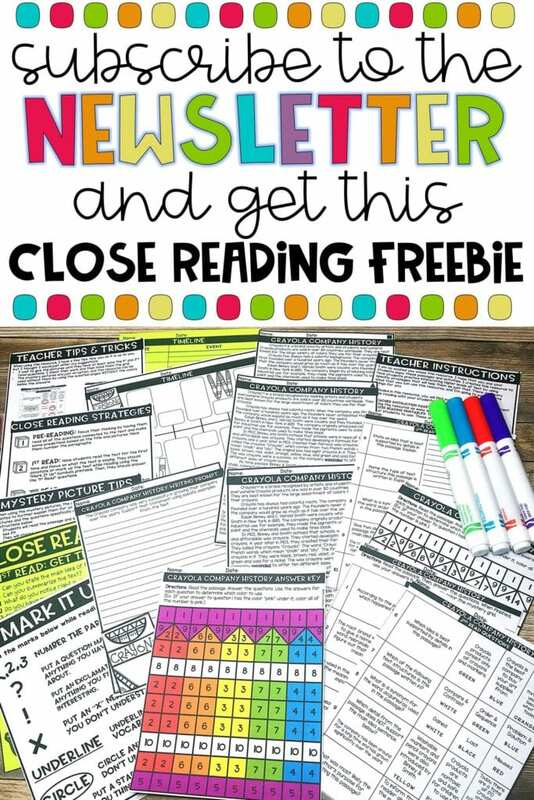 Find the this set of close reads on TpT by clicking here or purchase below from this site. For Science, I bought some gummy-like pumpkins and a bunch of toothpicks. Each group received a bag with the same amount of each item and a planning page. Click here to get the freebie. They needed to look at their supplies and create an inventory of their items. Then they made a plan to create the largest standing structure that they could. Before they were allowed to start building they need to discuss and agree on a final plan and then complete the plan part of the page. They added a few sentences about their plan. Before they got started on building, we decided that we’d be judging their structures in 3 categories….tallest, most solid standing, and most creative. Once we finished that, they were to construct their structures. It was so fun to see them so excited and engaged with this activity. I love watching their minds work as they try to build their planned structure. 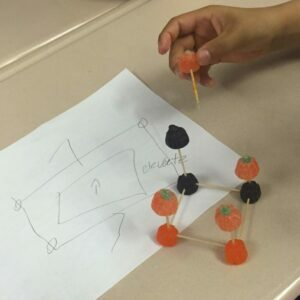 Some had to revisit, analyze, and modify their plans as they built their structures due to inconsistencies between what they planned and how it was working out for them in reality. They talked about this activity for the rest of the year! I’ve even done similar ones with other classes at Valentine’s day, Christmas, etc. Just change the type of gummy used and get to work! I realized one year when I asked my students, that many of them had never painted or carved a pumpkin. There’s a local farmer who sells pumpkins down the street and would give me a discount for buying lots of them. I just purchased a small one for each of my students so that we could do that as one of our Halloween Day activities. It cost me about $15 total. I was able to get paint and brushes from the art teacher so that I didn’t have that cost. 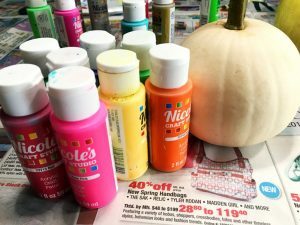 If you have to buy your own paints, the craft store always has a pretty cheap brand of paint. I got them to do with my kids at home and they were about $0.59 per color. The excitement that I saw from my students when they saw the pumpkins was priceless. They were SO EXCITED! While they worked on their reading passages, I would have small groups of students come to my small group table to work on their pumpkins. It worked perfectly. 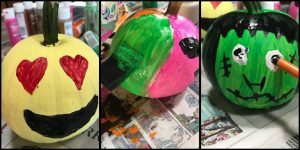 The students were engaged in their reading passages and happily waited their turn to be able to paint their pumpkins. Then I would only have 4-5 students at a time working on painting since I had minimal supplies and the thought of all of them painting at once takes me back to my subbing days when I had to sub for an art teacher. Let’s just say, I have mad respect for art teachers even since then. 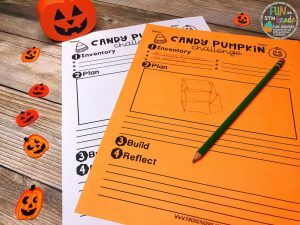 I’d love to hear about the Halloween activities you do that also teach! I’m always looking for fresh ideas! Have a great holiday with your students!